Washing machines are pretty darn handy, and when you think about it they’re the unsung hero in the house. They aren’t exactly an exciting appliance by any means, but they just sit in the laundry and do their job without complaining. Whether you have a front loader or a top loader, it’s undeniable that most people can’t live without their washing machine. However, what happens when you washing machine gets sick? After a while, and after many washes, your washing machine starts to build up a variety of icky substances. We’re talking detergent scum, calcium build-up, lint and bacteria from all that clothes washing. This doesn’t just happen in the drum itself – often it’s unseen mess clogging up the pipes and drainage hoses. This is where washing machine cleaner comes in. There are a few brands floating around that you’ve no doubt seen on supermarket shelves. Canstar Blue reviews various washing machine cleaners and how to clean your washing machine when it gets the ‘flu’. Cleaning ‘the one that cleans’ is an important step in maintenance to ensuring your clothes feel clean after a wash and for hygiene in general. The most effective way to clean your washing machine is to buy a washing machine cleaner. 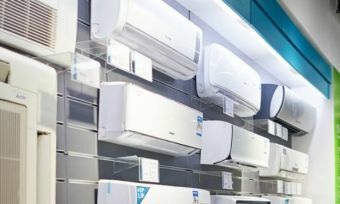 They are generally available at places where you can buy washing machines, as well as supermarkets. Arguably one of the most popular products specifically designed for cleaning built-up residue in your washer is ‘Washing Machine Magic’. It’s available at Coles and Woolworths, and costs less than $10 for 200g. Found in the laundry section, Washing Machine Magic doesn’t require much to be effective, and is made for both top and front loaders. An alternative is Selleys ‘Scalex’ and works much the same way as Washing Machine Magic. Selleys is known for cleaning solutions and its general handiwork products for around the home. While Scalex is specifically for dishwashers, Selleys states it’s also good for washing machines. It costs around $10 for a 375g bottle. If you don’t fancy heading to the supermarket, there are some everyday products that may get the job done. 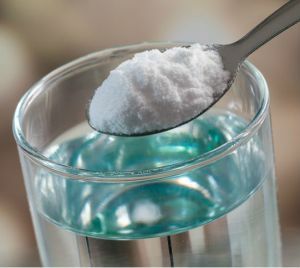 They generally revolve around the good old vinegar or bicarbonate soda – the stuff you made volcanoes with as a kid. These products can be used on both front and top loaders. Front loaders are particularly susceptible to suds building up, and with all the crud being dislodged, it may suds up quite a bit, so keep an eye on it! For fabric softener dispensers, most of the time they are able to be removed – this way you can place them in the dishwasher for cleaning. For front loaders, also pay attention to the filters, and clean and empty the crud caught up in them as necessary. Front load washing machines generally require a bit more maintenance than top loaders, but both kinds require some attention every now and again. Generally speaking, regularly wiping down anything that touches detergent is a good first step. This allows the drum to air out, and applies to both front and top loaders. Quite often there is some water left behind after a cycle or at the very least some dampness. Leaving the door or lid open allows the drum to dry out, and prevent mould built-up. As part of the door to front loaders, rubber seals also have a tendency to become gross after a while. Some are able to be removed quite easily for a total soak and air-out, but wiping seals down regularly can prevent mould build-up. If you find the directions on the packet leave you with too much sticky residue, you can road test using less detergent. Not only could this leave less residue, it could also be kinder on the wallet. Start off by testing results with half the recommended dose. 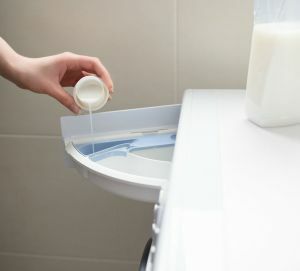 The detergent dispenser sees frequent contact with detergent, and in many cases they are removable. If they are removable, giving them a good soak – or putting them in the dishwasher – is a good way to prevent residue from building up. For top load washers, the agitator can also be a good source of crud build-up. Wiping down where the detergent goes is a good way to prevent any residue from becoming problematic. How often should I clean my washing machine? Once every couple of months, but really as often as you like. If you’re constantly washing heavily-soiled clothing like babies’ and kids’ clothes, it could be wise to give everything a wipe down more often – say once every fortnight. This also applies to tradies with dirty high-vis uniforms, sports players, gym junkies and those that are out and about, getting amongst the dirt and nature. If you find your bi-monthly or quarterly clean is not enough, cleaning your washing machine more may be the solution. After all, some elbow grease now, prevents big grease build-ups in your washing machine in the future. Cleaning the humble washing machine doesn’t need to be hard. In fact, the more often you do it, the less residue there will be and the easier it gets. Washing machines don’t demand much of your time or sympathy – they hum away and do the job like a noble steed. However, that doesn’t mean they never need some attention. Often they can get bogged down from the one thing meant to clean your clothes – detergent. Detergent has a tendency to build-up and leave residue in your drum over time, and this can attract dirt and mould. Overall, your washing machine doesn’t ask much of you, so pay it back by giving it a good clean every now and again. After all, it does have to deal with the whole household’s clothes!